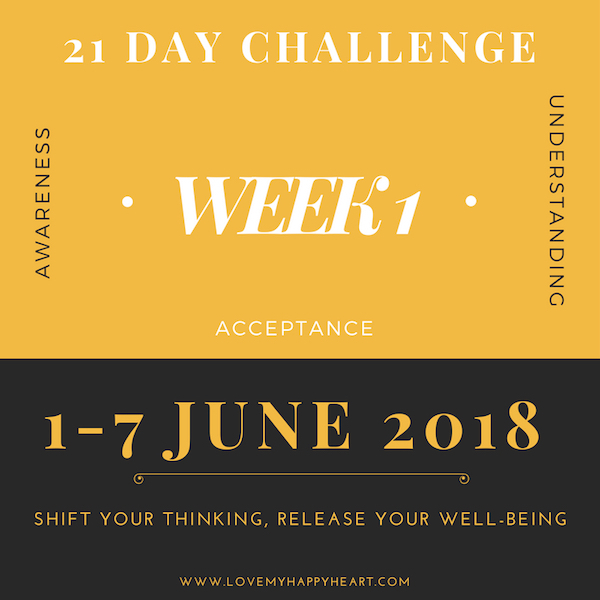 So here we are, Week 1 of our Challenge to shift our conditioned thoughts that hold us back from being happier more often. If you have decided to join this Challenge then congratulations on this first step. It actually tells me that you believe you deserve to invest in yourself. Now all we need to do is stick with the three week process! Come on we can do this together. Have you considered joining my closed and private Facebook Group, Wake up to Happiness? If not, there’s no obligation to join in or contribute, although knowing me and others are going through this exercise and posting about it daily (well at least I will be), will help you navigate this process. This post is all about giving you the key information about what activities to engage in this week that will help you achieve your shift and reclamation of happiness. Are you ready? I know I am – I woke up ready for this, this morning. Remember the key purpose of this Challenge is to tame our unconscious and conditioned thoughts that run amuck in our minds and steal away our happiness. When we have excessive negative thoughts that feed fear and doubt, then we find our happiness and joy affected. Those thoughts have been learnt, we weren’t born with them. And as quickly as we created them we can dissolve them and design new pathways in our brain that will change our entire life experience. Whether our demons are about health, like mine, or perhaps our self-image, age, capability, self-doubts or generally we have a negative or over-analytical mindset – this challenge can help. 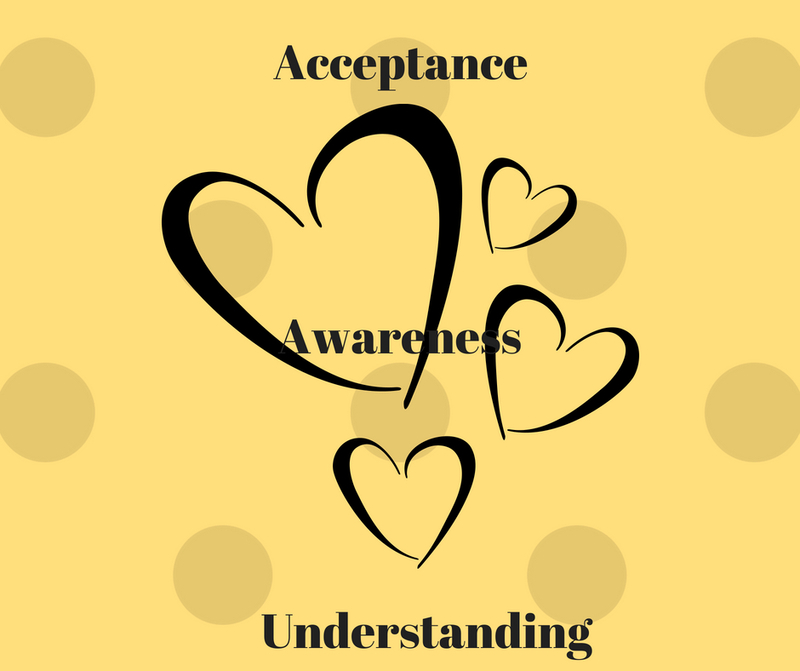 I know the power that these processes can facilitate having worked with them myself with my own self-esteem 16 years ago and with many, many clients over the last 20 years working in the coaching profession. And so it with the same hope and faith that we enter into this Challenge, knowing actually that we are supported by heaps of science that shows that the brain can be rewired and new habits can be created with a mere 21 days. So let’s rock it! Let’s start today and make it happen! So here’s the deal. There are some activities that you will need to take responsibility for. Remember that what we get out of something is equal to the amount of effort and commitment we put into it. I want to engage with this Challenge because my current health has given me a lot to think about and I have come to realise how much of my happiness is affected by my dramatic thoughts around ill health. It is time that those fears and thoughts are rationalised and changed so I can be free of the suffering they cause me spiritually, mentally and physically. So my intention is to rewire my conditioned health thoughts to a more positive mind set and eradicate the fears that manifest as a result of my over-dramatic thinking. You don’t need to share this unless you choose to of course, although the process of writing it down alone will be enough to set your mind and body into the right space. This need only take a couple of minutes, although please do this first – it’s important to get this clear in your head if you want to stay committed to the end. As we enter a space of awareness, one of our key themes for the week, I feel that it’s important to reflect on some questions that surface what exactly is going on. It is only with thought-provoking questions and gentle self-exploration that we can truly understand and learn to accept the map that we have been creating all these years. There is no judgement in this exploration, it is simply a source to understanding ourselves more profoundly so that our shift becomes more transformational. 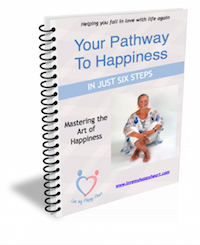 What do you feel is the relationship between your thoughts and mindset and your current level of happiness? What is the current situation that has triggered you to engage with this exercise that needs a more positive perspective? What are the three biggest thoughts, fears or demons that steal away your happiness, leaving suffering and sadness in its place? What do you think may contribute to those demons existing? What has conditioned them to exist? For example I know that my health fears and thoughts stem from my dad’s unsuccessful battle with cancer ten years ago, which is said to run in the family. Now draw a heart on your page and write in those three biggest demons, so that we can send them love not hate. We want to stay in a positive space as we work through this process. Fabulous, this is such an important part of the first week’s exploration, well done. Ok, so we know that Repetition is Mother of Skill and that we have created our current thought patterns and demons through a process called conditioning. This essentially means that we have learnt to construct these thoughts by hearing or seeing things happen consistently around us and eventually when we think something often enough, then it creates a pattern and eventually a habitual way of thinking. To create a shift, we need to practise daily some new routines, such that we recondition our thinking. If they were created once, we can recreate them. And don’t worry about your ego saying ‘Ah yes but, I’ve had them for years, they are deeply engrained….’ They are not as deep as the ego would have us think, when we understand the science of rewiring our thinking and putting our focus on a new way of seeing the world. When we repeat that over the course of 21 days, then we create new neural pathways in our brains, generating new brain chemistry. So the quote ‘Be careful what you wish for’ couldn’t be more true from a scientific standpoint. So here are some daily activities that I would like you to repeat throughout the day as often as you can. You could set a notification on your phone if you have one, or an alert on your PC to remind you to think about these things, as let’s be honest life is chaotic at worst and frenetic at best, so reminders are ok and play a necessary part in this process. Please repeat these three phrases often through the day and most especially just before you fall asleep. Journalise at the end of each day how this exercise went; note down particularly what arguments emerged in your mind and how you found the exercise. Has anything changed and if so what are you experiencing? Please don’t skip this journalising exercise, as it allows you to keep with the process and keeps you mindful of what is going on each day. It will also keep you focused. It only need take a minute or two, so keep the exercise simple. On the last day of this week, please do all the other exercises and also do a final review of how the week has gone. Notice how you feel, how the statements have felt during the course of the week and any changes, however small they might be. Also go back to the exercises that I set you for the whole week and make sure there are no other additions to make to your answers. This is really important as we will be making use of that information next week as we affirm and develop your positive neural pathways. Congratulations on completing Week 1 of our 21 Day Challenge. If you have joined our Facebook Group, why not come share your experiences. And when you’re ready, click this link for the details for Week 2 of our reclamation of happiness exercise.